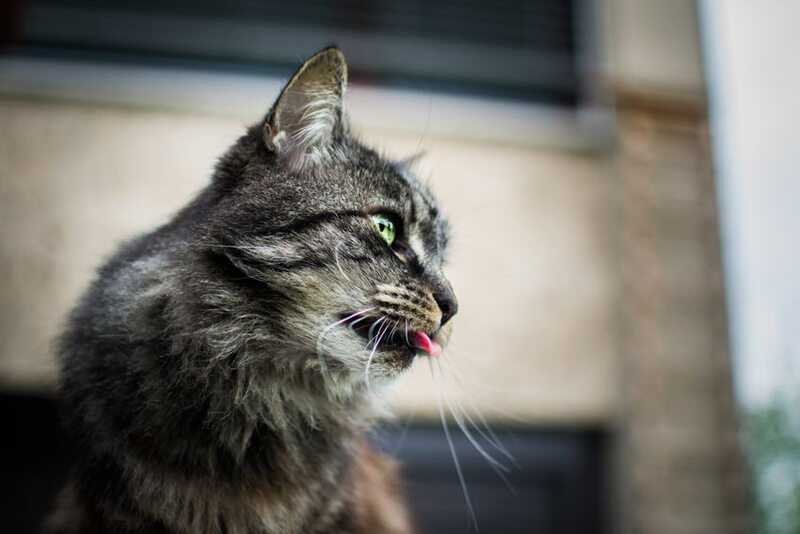 If you have ever been licked by a cat then you may have been surprised by how rough their tongues are. The roughness on your hand is caused by small, backward facing barbs known as papillae. Papillae contain keratin which is the the same protein molecule that makes up hair and nails. Over millions of years the cat's ancestors evolved to develop tongues like this to serve two main purposes. The small barbs act like a comb and help keep the cat’s coat in top condition. As well as helping to prevent the coat becoming matted; the barbed tongue will strip dead or loose hair. Ancestors of the domestic cat would hunt and kill their prey in the wild. For them it would be important not to waste any meat the gained from a kill. The barbed tongue would help them strip meat from bone so that they made the most from every kill.